The viola is similar in material and construction to the violin. A full-size viola’s body is between 1 inch (25 mm) and 4 inches (100 mm) longer than the body of a full-size violin (i.e., between 15 and 18 inches (38 and 46 cm)), with an average length of 16 inches (41 cm). Small violas for children typically start at 12 inches (30 cm), which is equivalent to a half-size violin. 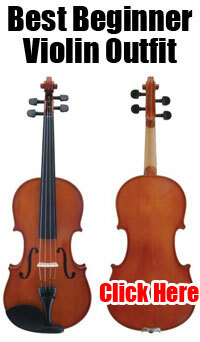 For a child who needs a smaller size, a fractional-sized violin is often strung with the strings of a viola. Unlike the violin, the viola does not have a standard full size. The body of a viola would need to measure about 20 inches (51 cm) long to match the acoustics of a violin, making it impractical to play in the same manner as the violin. For centuries, viola makers have experimented with the size and shape of the viola, often adjusting the proportions or shape to make a lighter instrument with shorter string lengths, but which still has a large enough sound box to create an unmistakable ‘viola sound’. Experiments have tended to increase the size of the viola, in the interest of improving the instrument’s sound. Hermann Ritter’s ‘viola alta’, which measured about 18.9 inches (48 cm), was intended for use in Wagner’s operas. The Tertis model viola, which has wider bouts and deeper ribs to promote a better tone, is another slightly ‘non-standard’ shape that allows the player to use a larger instrument. Many experiments with the acoustics of a viola, particularly increasing the size of the body, have resulted in a much deeper tone, making it resemble the tone of a ‘cello. Since many composers wrote for a traditional-sized viola, particularly in orchestral music, changes in the tone of a viola can have unintended consequences upon the balance in ensembles. More recent (and more radically shaped) innovations have addressed the ergonomic problems associated with playing the viola by making it shorter and lighter, while finding ways to keep the traditional sound. These include the Otto Erdesz ‘cutaway’ viola, which has one shoulder cut out to make shifting easier; the ‘Oak Leaf’ viola, which has two extra bouts; viol-shaped violas such as Joseph Curtin’s ‘Evia’ model, which also utilizes a moveable neck and a maple-veneered carbon fibre back, to reduce weight: violas played in the same manner as cellos (see vertical viola); and the eye-catching “Dalí-esque” shapes of both Bernard Sabatier’s violas in fractional sizes – which appear to have melted – and David Rivinus’ ‘Pellegrina’ model violas. Other experiments that deal with the “ergonomics vs. sound” problem have appeared. The American composer Harry Partch fitted a viola with a cello neck to allow the use of his 43-tone scale. Luthiers have also created five-stringed violas, which allow a greater playing range. Modern music is played on these instruments, but viol music can be played as well. via Viola – Wikipedia, the free encyclopedia.